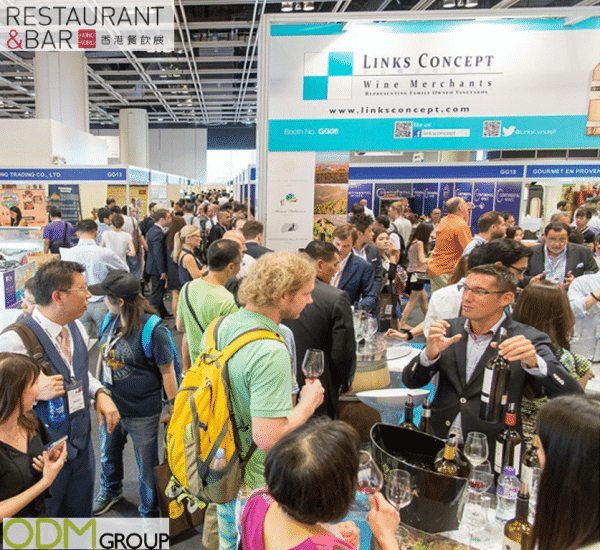 Taking place between September 8th-10th, Restaurant & Bar HK is the leading fine dining and bar exhibition in Asia-Pacific. Leading up to the event – The ODM Group used IFTTT as a tool for conference tracking on twitter #RBHK15. By doing this we found out what the most commonly used words were. These tweets were then put in a wordcloud with the most mentioned words being the largest. Conference tracking is a great way of getting an overview of the most important topics that people tweet about at these conferences. 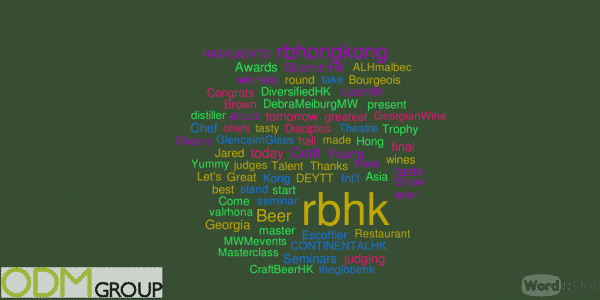 As seen in the word cloud – rbhk had the biggest presence on twitter during the event. Though interesting topics were Beer, Georgia , Awards and Bourgeois. Having a good social media presence is beneficial for brand awareness and means that people will be more interested in their announcements and products. 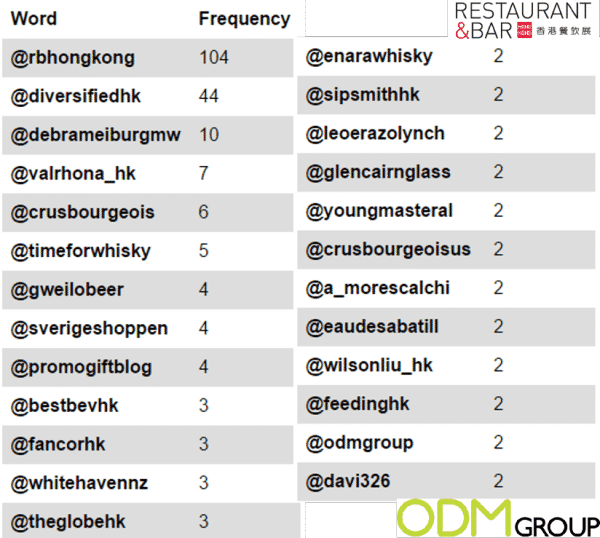 The top tweeters from the event are seen in the list above. These people managed to get their name out there using the #RBHK15. Restaurant & Bar Hong Kong has the unique position of focusing on the top-quality food service and the bar market, where it has undoubtedly become the business event of the year delivering top-end buyers from Hong Kong, Macau and Guangdong. Restaurant & Bar HK is a diversified expo with different bakery materials, food ingredients and catering equipment being exhibited here. With both overseas and local exhibitors showcasing new culinary tools which attendees can gain inspiration from the products and exhibitors. Alongside this it is a great platform for networking and an excellent way for suppliers to bring out new stuff to the F&B professionals. Industry peers can exchange ideas, search new supplies, and grab new business insight. For highlights of the Autumn Fair please see the below video provided through the official Restaurant & Bar Hong Kong Youtube Channel.